Grad Slam participant Sarah Hersman talked to a panel of judges about a chemical in the brain that she had isolated in experiments to study how fear can strengthen memory. She became one of six finalists chosen to vie for a $3,000 stipend and a chance to beat UC competitors. The clock was ticking. 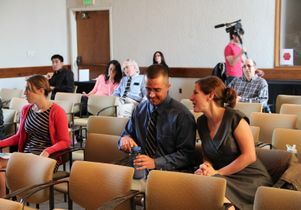 On Tuesday, UCLA graduate students had just three brief minutes each to summarize their years of research to a panel of judges. Engaged in wide-ranging research that could help cure night blindness, enable NASA to communicate more reliably with the Mars Rover or prevent oil pipelines from cracking, UCLA graduate students are doing amazing work. But for these students, dazzling the judges with their research wasn’t enough. They had to put on a show. 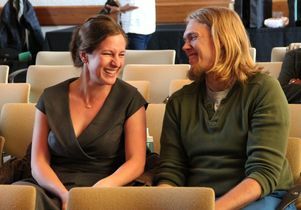 They were competing in a Royce Hall conference room in the semifinal round of UCLA’s first Grad Slam, a competition where grad students essentially turn their dissertation into a three-minute TED talk that’s brief, scintillating and, above all, accessible to people outside their field. Grad Slam is part of an ongoing effort at UCLA and other universities to teach grad students how to switch back and forth between the jargon of their discipline and the plain English they need to communicate with everyone else. For Jean Paul Santos, an electrical engineering graduate student at UCLA who ended up being chosen as one of six finalists, that meant turning his research aimed at building better antennas into a story about his fascination with space exploration as a child and his work that could help NASA receive fewer “dropped calls” from outer space. “NASA scientists will no longer have to ask the Mars Rover, ‘Can you hear me now?’” Santos joked to enliven his presentation. UCLA grad student Roch Nianogo discusses obesity and epidemiology in his three-minute presentation at the Grad Slam semifinals. UCLA’s Graduate Division and Graduate Student Association teamed up to host UCLA’s first Grad Slam, which a handful of other UC campuses have already held. At UCLA’s Grad Slam grand finale on Thursday, the original field of 100 students will be down to six finalists, who will give their TED-style talks to judges and an audience at Pauley Pavilion's Pavilion Club. 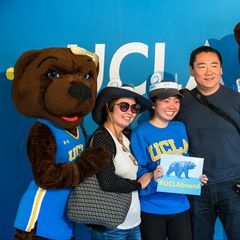 The UCLA winner will receive a $3,000 stipend and the chance to represent Bruins at the UC-wide Grad Slam in Oakland on May 4. Other students who place in the UCLA event on Thursday will win $2,000 for second place and $1,000 for third place. An audience-choice winner will receive a $500 stipend. Judges at the UC-wide competition will pick the top winner of a $6,000 prize, a first runner-up to receive $3,000 and a second runner-up to take home $1,000. At Tuesday’s semifinal, the students were in top form. Sarah Hersman, studying neuroscience and psychology, talked about a chemical in the brain she had isolated in experiments to study how fear can strengthen memory. 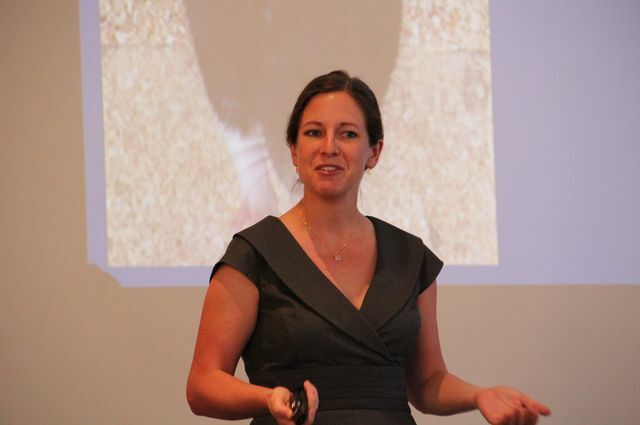 Her work, she explained, could help treat post-traumatic stress disorder. Yean Eric Lee from mechanical engineering explained how he was harnessing static electricity to create a wearable tape that could someday charge a cell phone. And Lauren Sherman explained how she determined, through MRIs, that teenagers respond differently to the same photos posted on Instagram, depending on whether the photos had more likes or not. “Now that we know how these likes are represented in the brain … can we predict which teens are more likely to give in to peer pressure?” she asked the judges. 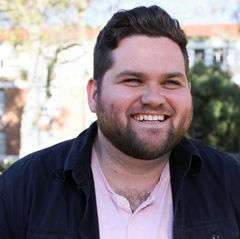 To hone graduate students’ ability to deliver a TED-style talk, the social sciences division of the UCLA College began last year offering Dissertation Launchpad, a 10-week program that teaches students ways to translate their academic vocabulary for outsiders. The program, which was repeated this year, was conceived and led by Dean of Social Sciences Alessandro Duranti, Distinguished Professor of Anthropology, in partnership with Associate Dean for Research and Innovation James Stigler, a professor of psychology. To help Grad Slam contestants let go of their specialized vocabularies, coaching workshops were offered by UCLA comparative literature grad student Allison Collins, who was a finalist in a similar competition when she attended New York University. 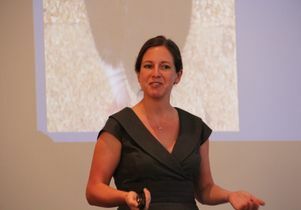 At one workshop, she asked students why they were participating — aside from winning the prize money, of course. “To practice public speaking and prepare for conferences,” one student volunteered. “For the job market,” said another. “Because getting someone excited about science, especially someone who isn’t interested, is a really cool feeling,” said a third. The Grad Slam participants also had questions. How do you know which details are too specific? Is it okay to explain a few key terms? Should you explain why the research is important to you personally or to society? Should you memorize your talk or work from notes? Watch Hersman, Santos, Brian Odegaard, Oscar Campos, Aolin Wang and Yibo Zhang competed in the Grad Slam final. The UCLA Grand Slam winner, Santos, competes in the UC-wide competition on Monday, May 4..
UCLA grad student Sarah Hersman gets congratulations from her boyfriend after finishing her presentation. 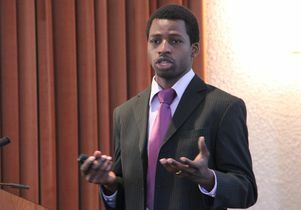 Judges listened to TED-style presentations at the Grad Slam semifinals.